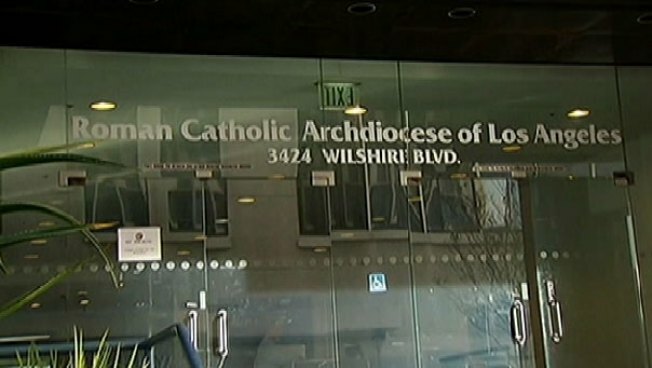 A jury that awarded $3.57 million to a former Leimert Park Catholic school teacher who sued the Archdiocese of Los Angeles and a priest, alleging she was fired for being pregnant and unwed, ordered the clergyman Thursday to pay the woman $87,500 in punitive damages. The Los Angeles Superior Court panel deliberated for less than an hour before reaching its verdict. The second phase of trial was triggered after the jury found Wednesday that the Rev. Michael Tang had acted with malice, oppression or fraud against plaintiff Kourtney Liggins, a former science teacher at Transfiguration School. The archdiocese and Tang are both liable for the $3.57 million in compensatory damages awarded by jurors Wednesday. Liggins was a victim of wrongful termination in violation of public policy and intentional infliction of emotional distress, according to the jury. The archdiocese released a statement saying it appreciates the jury's efforts, but insisting "the verdicts are not representative of the facts." "The school made accommodations for Ms. Liggins' situation, but her continual tardiness and lack of attention to her teaching responsibilities were affecting other teachers and the academic program at the school," according to the archdiocese. "For those reasons, school leadership and Father Tang concluded that she should not be asked to return for the next academic year." Tang was present throughout the first phase of trial, but was not in court Thursday. The 46-year-old Liggins, who was in the courtroom for Thursday's verdict, said she was pleased with the outcome of the case and happy she could prevail against an institution such as the archdiocese. "It was a relief," the Los Angeles resident said. "I was glad that my story got out and that I was believed." Liggins said she hoped the verdict would help prevent someone else from going through a similar experience while working for the archdiocese. In her final argument during the punitive-damages phase of trial, defense attorney Lara de Leon urged the jury not to award Liggins any more money. She said the panel's message was sent to Tang with the compensatory damages award and she described the priest as a humble man who lives a modest existence. "This is something he's going to have to live with for the rest of his life," de Leon said. However, plaintiff's attorney James Urbanic said Tang showed disrespect for the jury by not coming to court. He also said Tang earns more than $100,000 a year and has a net worth higher than $200,000. Tang testified earlier that he and the current Transfiguration School principal, Evelyn Rickenbacker, jointly decided in June 2013 not to renew Liggins' contract based in part on complaints by parents about her tardiness and phone calls during class time. At the time, Tang was pastor of the Church of the Transfiguration. Liggins testified her tardiness was due in part to the nursing of her newborn daughter and that any phone conversations she had in the classroom were directly related to inquiries by parents about their students. Liggins sued the Archdiocese of Los Angeles, Transfiguration School and Tang in September 2013. She says she was seven months pregnant in the summer of 2012 when Tang told her that her pregnancy would "morally corrupt" impressionable teens at the school. When Liggins complained to a bishop and a school official, they did little, according to the plaintiff. Liggins said she notified her sister, Michele Yerima -- who was the Transfiguration School principal until her March 2013 resignation -- that she was late to class because she was nursing her daughter. Liggins also said that while her phone calls were work-related, she believed it would be proper to take a personal call if it was an emergency. Liggins said she continued to attend Mass at Transfiguration Church for a time after she was fired because the church had been a part of her life for so long. But she said the stress and memories ultimately forced her to start going to another parish. She said her daughter is now 6 years old.